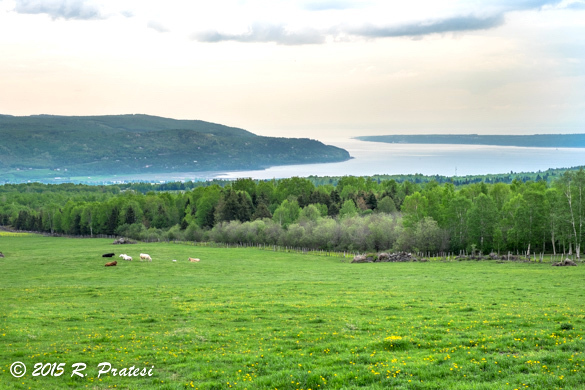 This is the second article in a three-part series of travel through the Charlevoix region of Québec. The first article can be found here and the final article at this link. 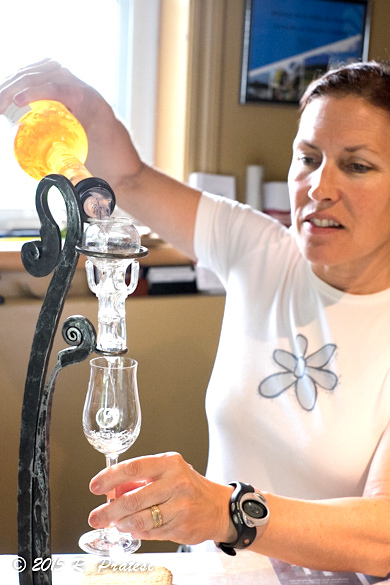 Traveling north on Highway 138 are some of Charlevoix’s finest food artisans. 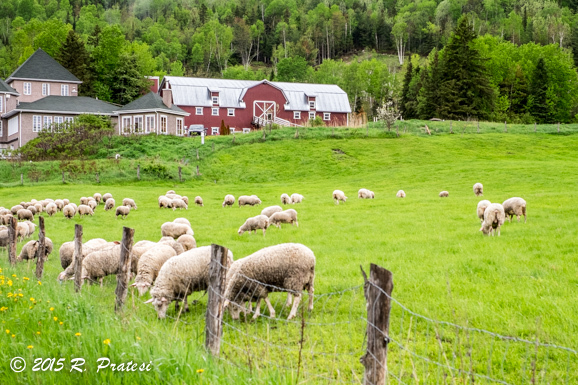 Sheep and cows outnumber the residents and families have resided here for generations living in concert with the beautiful countryside that lends itself to an artisan’s way of life. 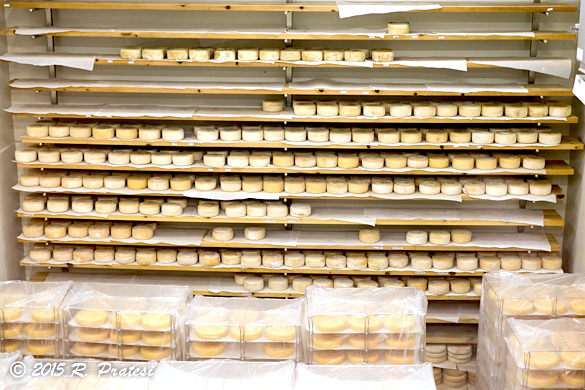 Here you will find many farms producing fabulous cheeses. A more recent, but one of the best known producers, La Maison d’affinage Maurice Dufour, began their cheesemaking operation in 1995. Located in the Baie-Saint-Paul valley, their cheeses include Le Migneron, Le Ciel de Charlevoix, Tomme d’Elles, Deo Gratias and Le Secret. Spectacular cheese is just the beginning of the Flavour Trail experience. 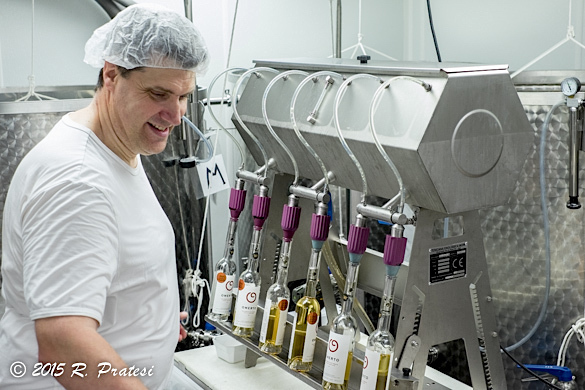 Be sure to stop along the way to sample other products such as: artisan breads made with the flour produced at La Rémy Mill in Baie-Saint-Paul; regional maple syrup and beer inspired chocolates and chocolate covered local blueberries (which are made daily), at Chocolaterie Cynthia in Baie-Saint-Paul; and visit a maple grove, Ferme et Érablière le Boisé, in Saint-Siméon. 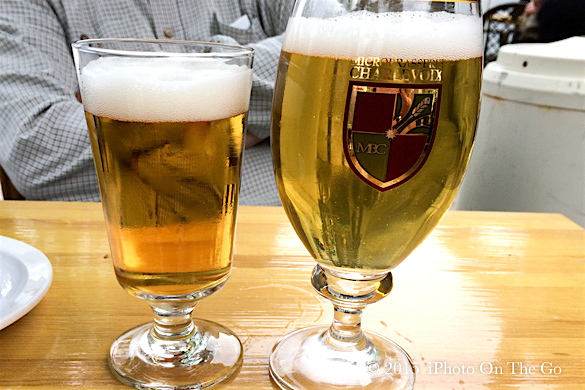 There are several producers along The Trail where you can sample local ciders, meats, pâtés, charcuterie, and beer. 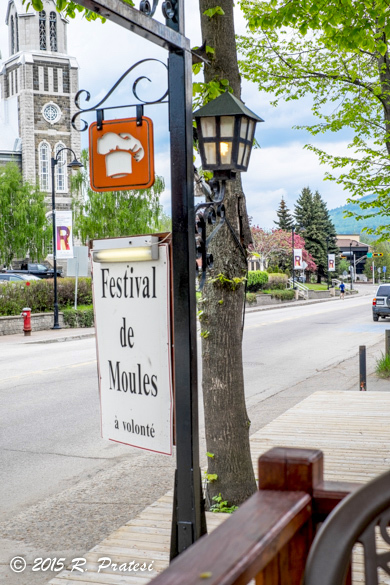 You will find the restaurants in Charlevoix, even casual pastry and bakery shops, such as Boulangerie À Chacun Son Pain, feature locally grown and produced ingredients on their menus. 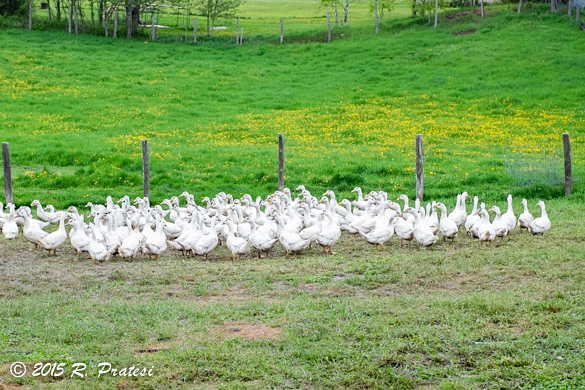 Nothing says French cooking more than foie gras, one of the more controversial foods in the United States, and this area of Québec produces some of the finest in the world. One of the region’s best producers is Isabelle Mihura of La Ferme Basque. 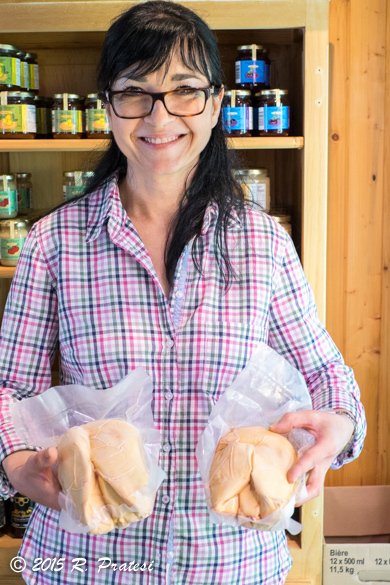 She uses traditional Basque methods in raising her ducks and producing the fois gras (more to come). 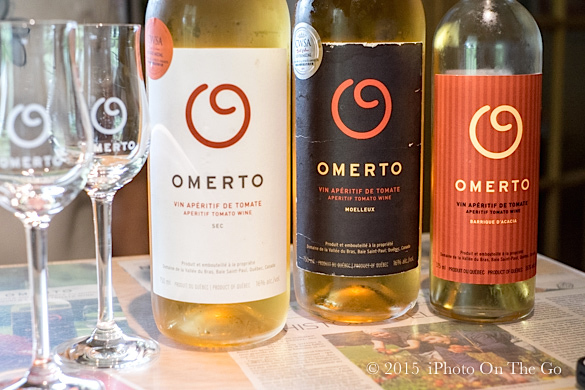 You can also discover some unusual products, like tomato wine, Omerto, at Domaine de la Vallée du Bras. Omerto is a family recipe that has found a large overseas market for their product. The story behind this wine began in Belgium in 1938 when the great-grandfather of the owner and President of Omerto, Paschal Mische, began making wine from the over abundance of tomatoes in their garden. Still produced today from the original recipe and made with organic tomatoes from their garden in Baie-Saint-Paul, Omerto is similar in style to sake. This libation is for sipping and it’s a wonderful aperitif. Not surprisingly, their sales to the Asian market are flourishing.